Do you currently use a hearing aid? Hearing aids are small electronic devices that you wear in or around your ear to make sound more audible. Available in a range of sizes and models, hearing aids can help with a range of hearing difficulties, from mild to severe hearing loss, experienced at any age. We have come a long way from ear trumpets and acoustic horns, which were originally designed to assist those with hearing difficulties but now belong in period dramas and museum displays. Nowadays, hearing aids can be stylish accessories, with the functional benefit of allowing the wearer to fully immerse themselves in the sounds that surround them. Over 28.8 million people in the US alone suffer from some level of hearing loss and this number is set to nearly double by 2060. As such, hearing aid technology has never been more significant and these helpful devices can change your life for the better. Knowing how hearing aids work will soon become common knowledge. Whether this knowledge is for yourself, a friend or a relative, we want to get you ahead of the curve so you can make informed decisions. Hearing aids are designed to literally “aid” your “hearing” system. Hearing aids do not act as a replacement for your natural hearing, but rather help it along to get the job done. A working understanding of how hearing aids function will help you ask your specialist the right questions when choosing your device, to ensure that you make an informed decision. First, let’s see how your hearing system works on its own. 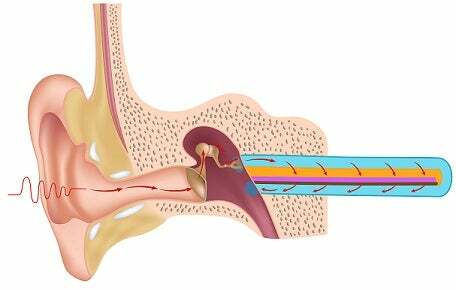 Your outer ear (the parts that you see) collects sound which passes through your middle ear (starting from your ear-drum) which vibrates in response to the sound waves. Finally, small sensory cells in your inner ear called hair cells convert the sound waves into an electrical signal that your brain can understand. The microphone: acts like the outer ear, picking up different sounds in the environment. Microphones can be directional, picking up mainly sounds in front of the wearer, or omni directional, where they pick up sounds all around. Once the microphone detects the sound, it converts it into a digital signal for the next basic component. The processor/amplifier: is the next basic component in the hearing aid. It manipulates the digital signal in a way that is user-specific. This is what your audiologist will programme to do a number of different things for you such as, improve speech recognition, amplify specific parts of the sound, remove background noise and cancel feedback. The processor/amplifier typically determines the quality of the hearing aid as it is responsible altering the sound in a way that best meets your needs. The speaker (receiver): receives the signal from the processor and converts it back into a sound wave. By now, the sound has been altered in a way which makes up for deficits in your own hearing. The sound is delivered through an earpiece which is customised to fit comfortably in your ear. The battery: serves as the power source to keep all the parts mentioned above running smoothly. This is another key difference to consider when purchasing your hearing aid as it will determine how long you can use your device between recharges/battery changes. Find out more about the typical battery life of hearing aid types. Will a Hearing Aid Help Me? In most cases, hearing loss is caused by the deterioration of hair cells, the small sensory cells in your ear that detect sound waves. This could be due to genetics, age, illness, injury or exposure to damaging sound levels. The remaining hair cells are typically only able to pick up limited sound, so the hearing aid amplifies and adjusts sound waves in a manner which means your remaining hair cells can do more than they ever could on their own. One of the first things a specialist will do during your visit is test your hearing. After this you will know just how much a hearing aid could improve your quality of life. If you are concerned about your hearing, go ahead and speak to a specialist today. Will My Type of Hearing Loss Need a Certain Type of Hearing Aid? The most important thing when choosing a hearing aid is to be fitted with one that’s optimized to your own personal needs. The processor/amplifier in your hearing aid is what will be unique to you, specifically programmed to cater to your needs, giving you the best hearing experience possible. The short answer is – they should be. But that’s so long as you’re fitted with a model that’s specific to you and your own needs. The point of a hearing aid is to make life better, and having a pain in or around your ear all day long is hardly an adequate replacement for hearing loss. However, there are obviously a few potential obstacles to a comfortable implemented device. For one, not every hearing aid fits every ear. Finding the right size is just as important as finding the right price, particularly if you’ve got unusually shaped ears. This means having it fitted by a competent professional is imperative. Ears are delicate, complex, and unique, and an expert can take all of your personal considerations into account when fitting you with the best hearing aid possible. Between the many styles, the innovative technology, and the fear of discomfort, picking a hearing aid can be a big decision. Ultimately, choosing a hearing aid is also a very personal decision. If you want the best possible information available you’re going to need to speak to an expert. Tech.co can set you up with a specialist local to you who will be able to take care of all your questions and offer personal advice to alleviate any of your concerns. 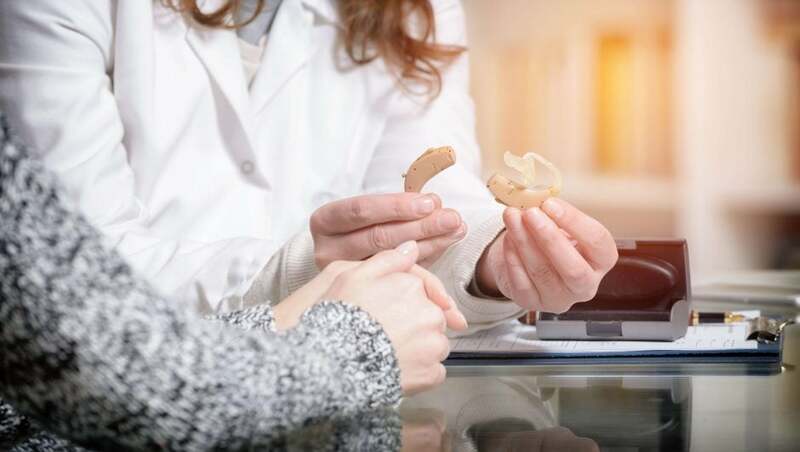 Improved hearing is a tremendous investment, and with the best hearing aid for your needs, you can benefit from the latest technology, a comfortable fit, and competitive prices. Start your journey to crystal clear hearing with a free hearing test and consultation. By getting in touch with Tech.co you can be matched with a hearing specialist local to you, and arrange a free consultation. We may also receive a payment for the introduction. This is to help Tech.co remain free to provide advice and reviews, carries no additional cost to you, and doesn’t affect our editorial independence. Thomas Tagoe is a neuroscientist and science communicator affiliated to the University of Ghana. He holds a PhD in Neuroscience from the University of Leicester (UK) and his research into how exposure to loud sound causes hearing deficits has been published in international journals and major news outlets including the BBC, CNN and The Conversation. Aside research, Thomas has a passion for sharing his love of everything science and does this through an organisation he co-founded to build capacity in individuals through outreach activities. Outside his scientific pursuits, Thomas is an avid reader and enjoys a good game of basketball.